The Canada Day weekend is always a time to party. Every year that I can remember, the City of Winnipeg shuts down Osborne street in Osborne Village & there is a massive street party. Our drummer, Mitch, was able to secure us a gig “In Front Of A Record Store” on Osborne on July 2, 2000. So we hauled our gear down to the Village & setup in front of Disc-Go-Round (which is still located on Osborne in the Village). We played a set comprised of three pre-written songs & a couple of improvised jam songs. My parents came down that day to watch the show & my father brought his 8mm handicam video camera. He tried to shoot the performance but found too many people were walking through the shot. So he just let the tape run & recorded the audio. My great disappointment with all this is that my parents arrived late to the gig & my dad only recorded the two improvised songs. He then burnt them to a CD for me & I made a copy for Mitch. This CD sat on my shelf for fifteen years until Jim was asking about old Hellinacopter recordings. So, I digitized the CD, cleaned up the tracks a little bit & then uploaded them to the 2-Ply Collective’s Archive Site. You can now listen to the recording from there. I needed to share those songs, those recordings – those moments captured in time for posterity. I had recorded them all for a reason. Was that reason not to share the music? Share it so others could experience those moments in time – those places & people in my life who helped shape who I am, not only as a musician but also who I am as a person. So I dug out my box of Master Tapes & started going through them. I created a new bandcamp site for this archive. Finally, I started digitizing & re-mastering the recordings. Today, I am proud to announce that the first album of these Archive Recordings is now available to the world. 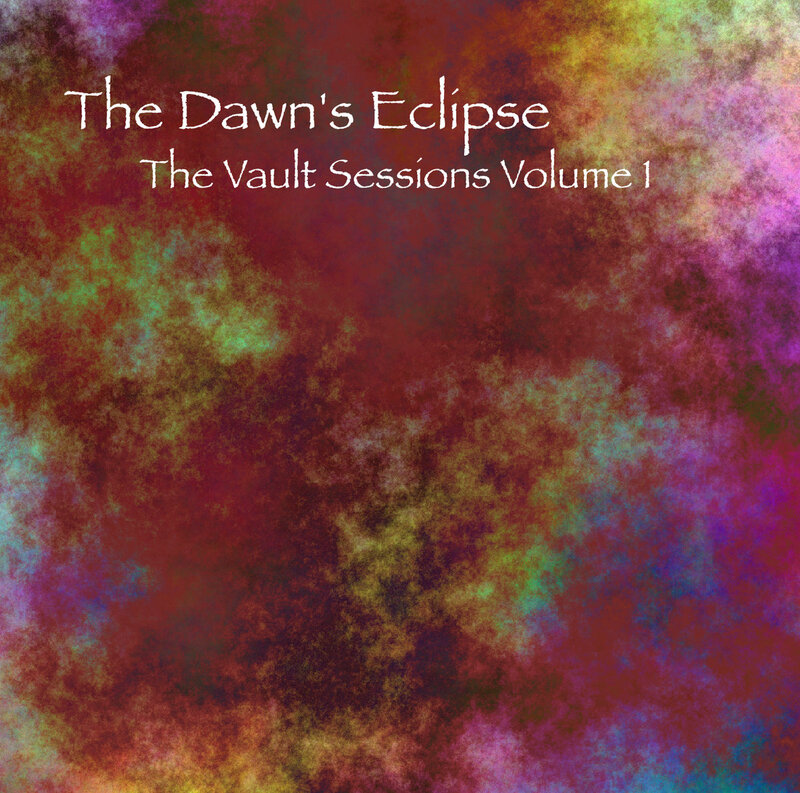 The Vault Sessions Volume 1 by The Dawn’s Eclipse is available for streaming & download from the Layaway Records Archive Site. Now what’s the story behind these “Vault Sessions” & who the heck are “The Dawn’s Eclipse”? The Dawn’s Eclipse was a Winnipeg Alternative Rock band that was together from 1998 – 1999. The band formed from the ashes of what had been Gargamel’s Revenge (my first band) & broke up just as we felt we were ready to begin performing live gigs. We were a six member band comprised of Dana Gordon (Lead Vocals); Steven Coté (Lead Guitar); Kevin Coté (Percussion & Vocals); Paul Trudel (Bass), Colin Mantay (Drums) & myself (Rhythm Guitar & Vocals). “The Vault” was our practice space. We rented space in an old Brinks Barracks & our designated spot in the building (which we shared with another band) was the Vault (the accoustics of the room were amazing). These “Vault Sessions” were recordings of our band rehersals in that practice space & are the only recordings of the band. This entry was posted in Live Music, Music, Nostalgia and tagged 2 Ply Collective, alternative, alternative rock, archive, canada day, Colin Mantay, Dana Gordon, demo, demos, disc-go-round, experiemental, Experimental Rock, gargamel, gargamel's revenge, Golden Tombs, Hellenica, Hellinacopter, jam, jams, Jim Demos, Kevin Cote, Layaway Records, Mitch Gawne, osborne, osborne village, Paul Trudel, practice space, recordings, rock, Steven Cote, street festival, the dawn's eclipse, the village, vault, Winnipeg.